Iris Landscaping did a wonderful job in our backyard. They worked around the delays caused by other contractors with flexibility and patience. Nikolay and Shy provided excellent advice throughout the whole process. Their management of the project was efficient and intelligent. Their employees were courteous, meticulous, efficient, timely, professional, and very competent. 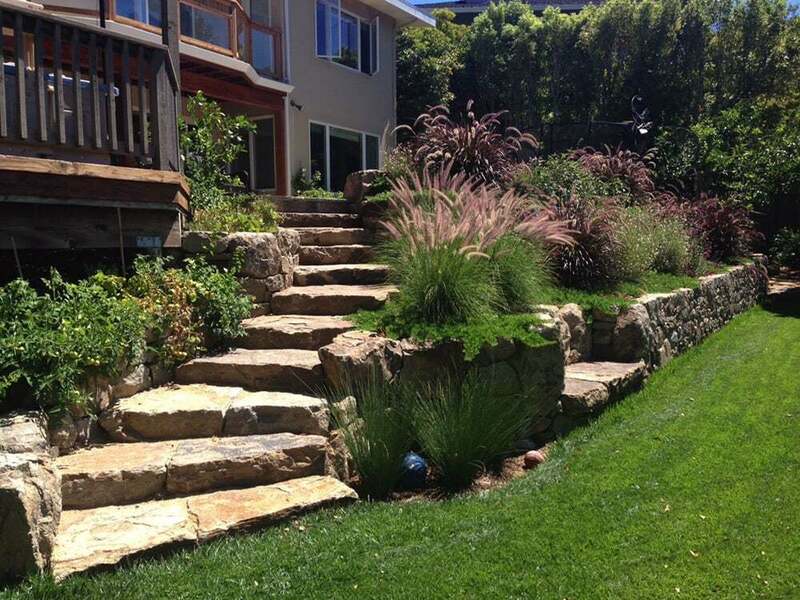 Iris Landscaping delivered beyond expectations and we love the result. Can't recommend them enough! We live in your basic 1950's style home in a 1950's planned neighborhood. We had another company do some work on our property when we first moved in. It was a crappy job and needed to be fixed. That was about 4 years ago when we met Nikolay and Shy of Iris Landscaping. We didn't really know what we wanted to do to our property, but knew it needed to be better. They worked with us to fix the problems the other guys had created and did so within our financial scope. This was only phase 1 of our project. We worked hand in hand with Nikolay and his vision of what our yard could look like. We wanted modern, hip, environmentally friendly as well as spacious and kid friendly. It took a few more years to figure out what we needed to do and save our pennies. What we got has exceeded our expectations 100x over! We have submitted our property to Dwell and Sunset Magazine for Cover Stories. Our generic home has become the coolest place to be. It is retro and modern at the same time. Best thing is: we stayed within budget! I highly recommend Iris Landscaping; I only wish we had known about him earlier so that he would've done our front yard landscaping. 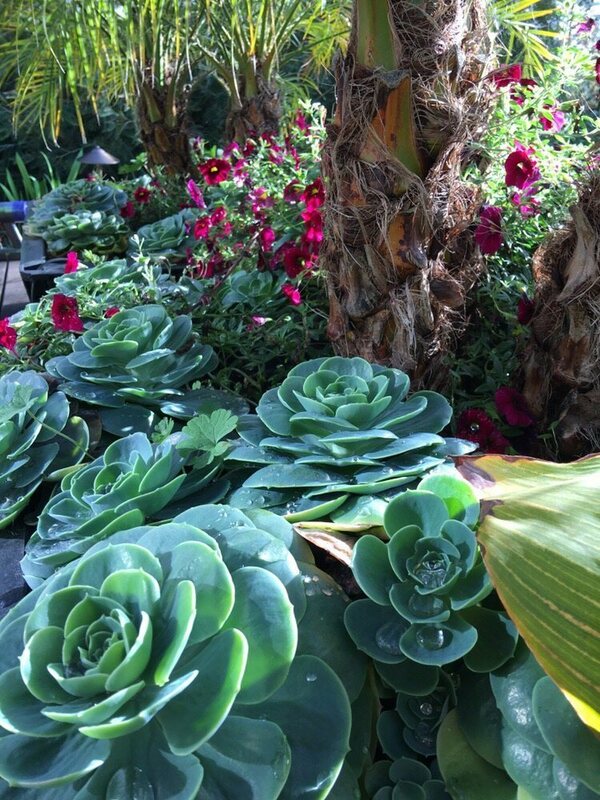 We just completed our backyard project wherein we tore out our lawn and replaced it with a succulent garden, amidst striking boulders and drought resistant flowers and shrubs. 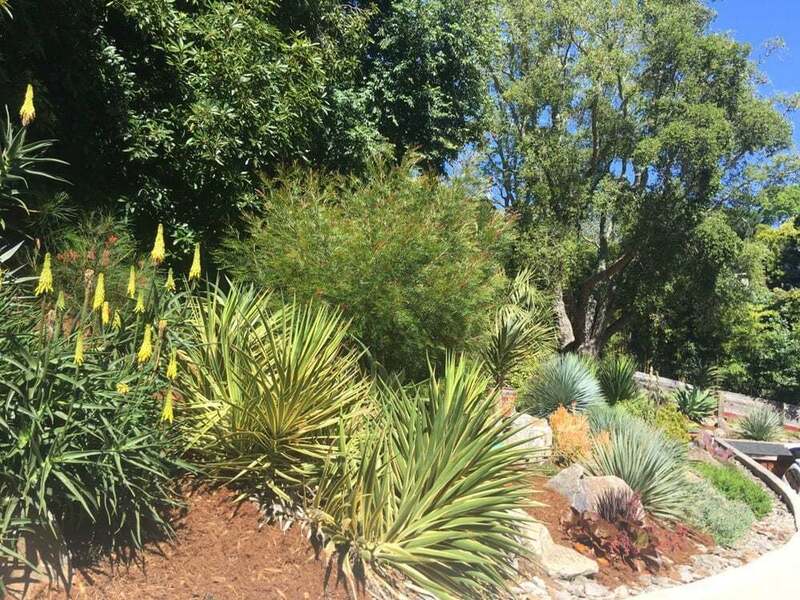 Nikolay also planted succulents and ground cover on our tricky hill, and built stone wells around the plantings on the slope with leftover rock we had previously. We have a concrete patio which was an eye sore, and with small changes he transfigured its look so that now it works with the rest of our design. He installed a self-adjusting WiFi Smart irrigation controller, which has an iPhone app available; we highly recommend this option! In a word, my husband I would describe Nikolay's work as "exceptional." Trust his design sense, without a doubt. He has expert knowledge about plants, every phase of design and construction. He gave us 200% of his time (he has a wealth of knowledge on plants and their care), and worked with us given our budget. 5 stars! As owners of an Oakland craftsman home/money pit we have seen it all. We have slowly remodeled all 3000 square feet of our home with the exception of a bathroom, a hall and the backyard. In the 5 years we have owned our home I was tired of working with contractors with attitudes. The task of designing our backyard was overwhelming and took about 6 months to get the ball rolling . . . . Nikolay was patient the whole way. His bid was in the middle of the road. The reason that we picked him was because I felt that he communicated well, he always responded to phone calls and email quickly and I felt comfortable that he would be easy to work with. Also, he was willing to work within our budget and came up with creative and innovative ideas. 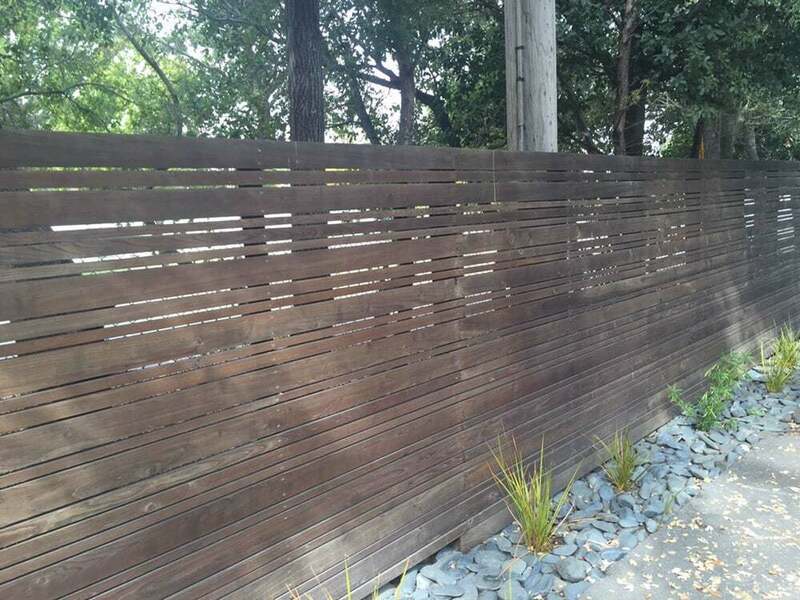 Nikolay and his team laid a sandstone patio, built new redwood fence, gate, garbage enclosure, stairs and railing, and reworked an existing pergola to make it more useful. We live on a hill with tons of water flowing underneath our house and it had already flooded once. 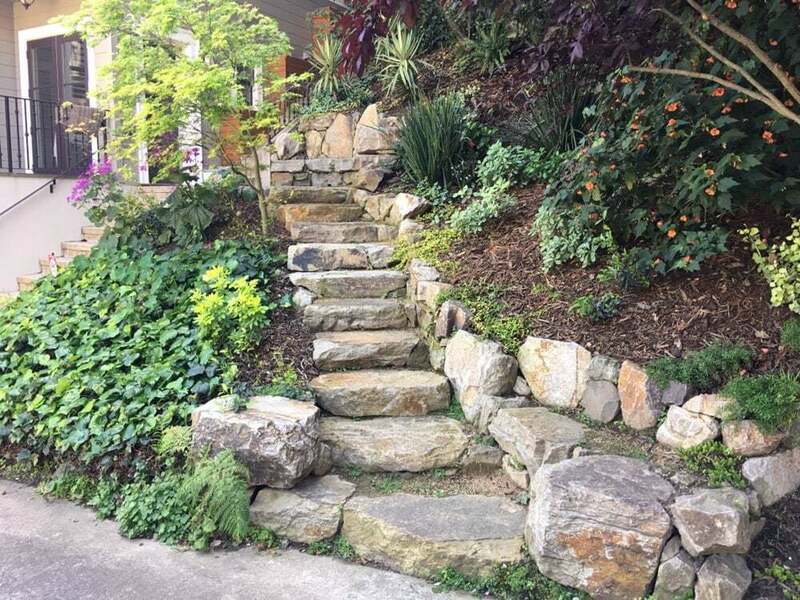 Most important to us was Nikolay was very cognizant of our water sensitivities and suggested additional drainage as well as built new retaining walls and reinforced existing footings and retaining walls so that our yard doesn't go sliding into the neighbors'. I work far away from home and Nikolay was always willing to work around my schedule to meet with me in the evenings and weekends to review progress and answer any questions. His team was always very courteous and left the yard clean and tidy every evening. We liked Nikolay and his team so much we had him came back to seal the patio and trim some trees a couple of months later. We look forward to working with Nikolay and his team on the maintenance of our yard. While walking the dog in the neighborhood we visited a yard job being completed by Iris and met Iris' owner. We needed an extensive job done to preserve our hillside and Nikolay came to our house. His expertise and ideas were compelling and his bid was excellent. It took 3 weeks to complete the drainage, terracing, retaining wall, drip system, and soil work. Berto and Claudio did the primary work with 12 tons of boulders: they are truly creative artists, stone masons of the first order! They worked hard every day, had wonderful attitudes, and took great pride in their work. Their work and that of Nikolay exceeded our highest expectations in every way. These men and this company know what they are doing and they do it very, very well. The cost of the job came in as bid and we had additional work that was very reasonably priced. The interim planting support was excellent and we will work with the company in the fall to do the essential hillside planting and annual maintenance. Nikolay has an eye for details, knows hillsides and yards, and he is very creative in his design suggestions and layout. He has built and sustained a long-term, loyal staff and is an excellent supervisor and rightly respected by his employees. On the personal level he is a great guy, fun, and good humored! We recommend Iris, Nikolay, and his team without reservation. And, since there is always a suspicion about reviewers: we are not related in any manner to anyone associated in any way with Iris and Nikolay -- we came on them for the first time when they were working in our neighborhood. The only reason we are reviewing them is because they did an excellent job at a more than fair price and we both trust them and are over-joyed by the work they did for us!